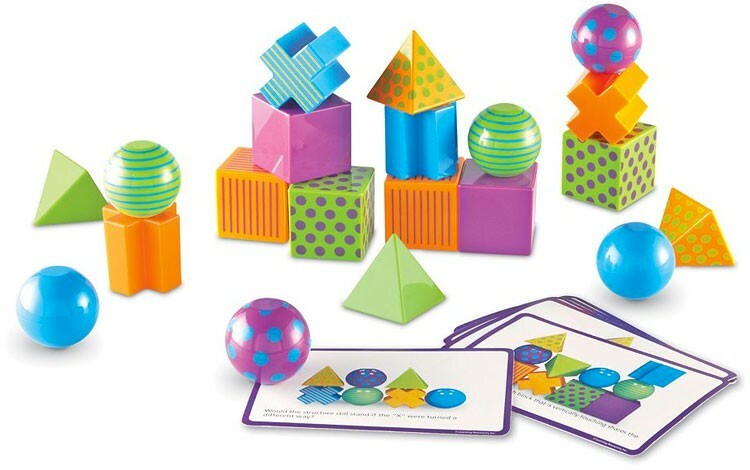 Stack, pattern and match the multicolor shapes in this game from Learning Resources. 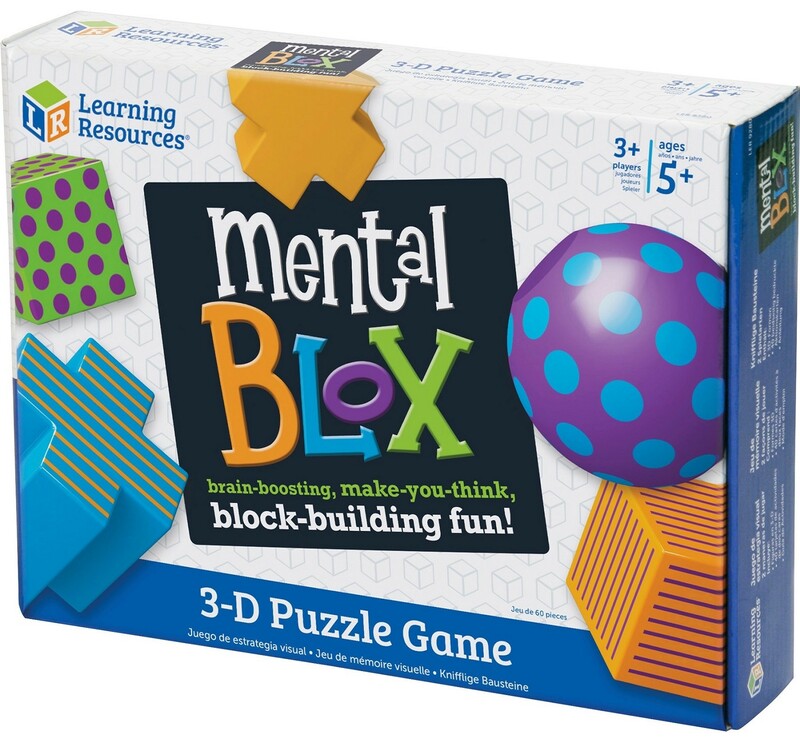 Do not be fooled by appearances: these endlessly enjoyable blocks mean brain-boosting business. 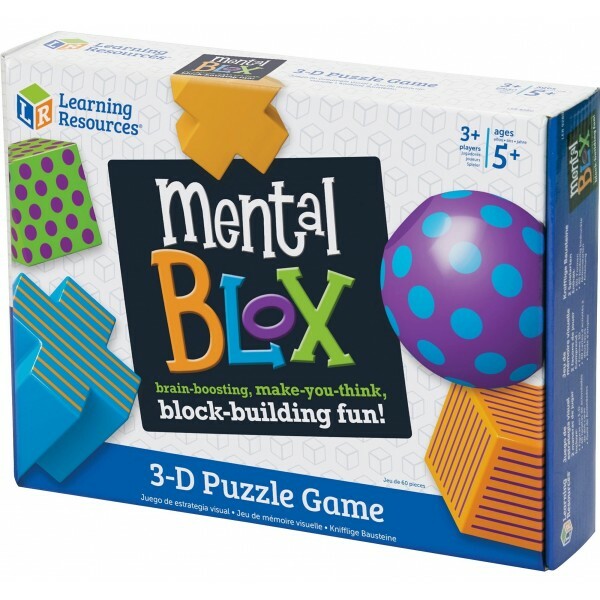 Mental Blox help children practice following verbal instructions, asking questions and build critical thinking skills. 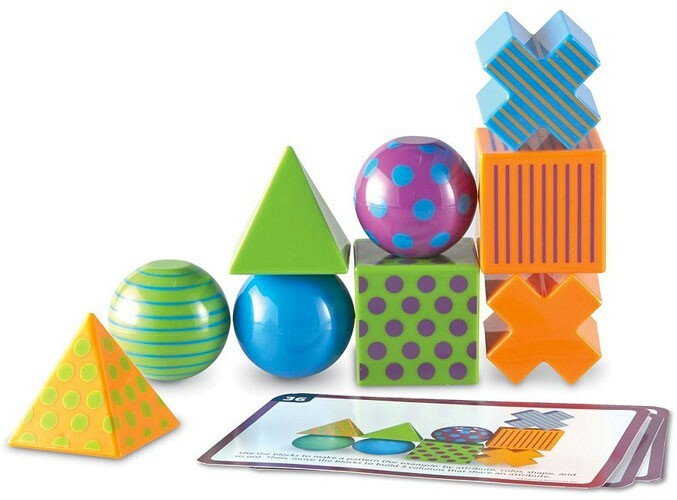 This game comes with 20 chunky plastic pieces in a variety of shapes, 20 Activity/Questions cards, and a guide book. Children can recreate what is on the card or can give verbal instructions to a partner or group to see how clearly they can communicate the pattern they see.